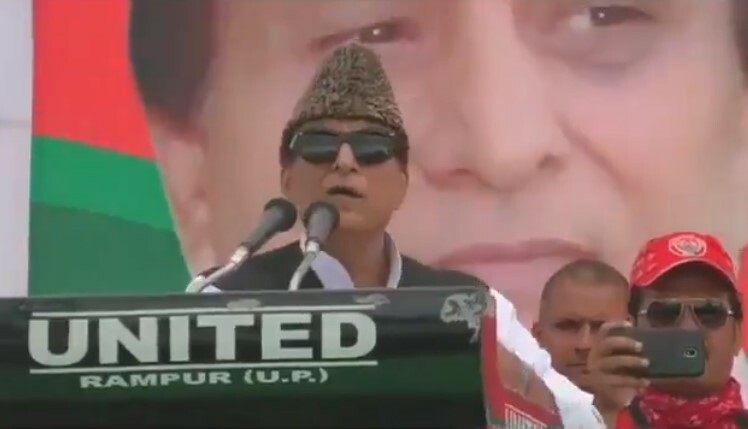 Veteran Samajwadi Party leader Azam Khan on Sunday courted a fresh controversy after he alleged spoke about the khaki underwear of the BJP candidate and former Bollywood actress, Jaya Prada in a public speech. Addressing an election rally, Khan had said, “It took you 17 years to understand her true colour. It had taken me 17 days to find out that the colour of her underwear was khaki.” Khaki colour is often used to refer to the RSS. Faced with growing outrage, Khan said that he had not named anyone in his speech. He told news agency ANI, “I haven’t named anyone. I know what I should say. If anyone can prove that I named anyone anywhere and insulted anyone,then I’ll not contest election,” the news agency quoted him as saying. Both Amar Singh and Jaya Prada were in the Samajwadi Party but later severed ties to join the BJP, which recently fielded the actress-turned-politician as its candidate from Rampur. Prada has already represented Rampur as an SP MP on two occasions in the past. Previous articleAlia Bhatt ‘announces’ election symbol for her political party, is Kangana Ranaut listening?